Fault: reflect the engine holding car politely, observe the black smoke from the engine on site, and the exhaust bucket turns red at high temperature. In the case of big throttle, the big arm overflows, the rotating speed dropped from 1823r/min to 1716r/min, and the monitor showed that all was normal. Troubleshooting: after taking down the air filter, it is found that the inner layer of the rubber tube connected with the air filter seat is convex, which blocks the intake of the turbocharger and flattens the intake hose of the turbocharger. 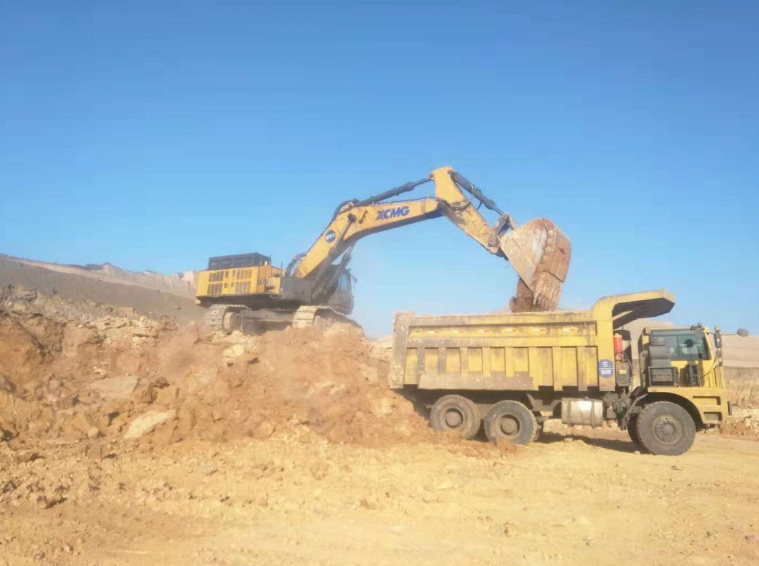 Fault phenomenon: polite reflection of the mechanical digger in the work of automatic full vehicle power off, after a second or two automatic return to normal, the whole process of engine normal operation. After 7 hours, the driver turns off the fire and takes a taxi. Troubleshooting: check that both the fuse and the relay are normal. Check that the key switch is often out of power. 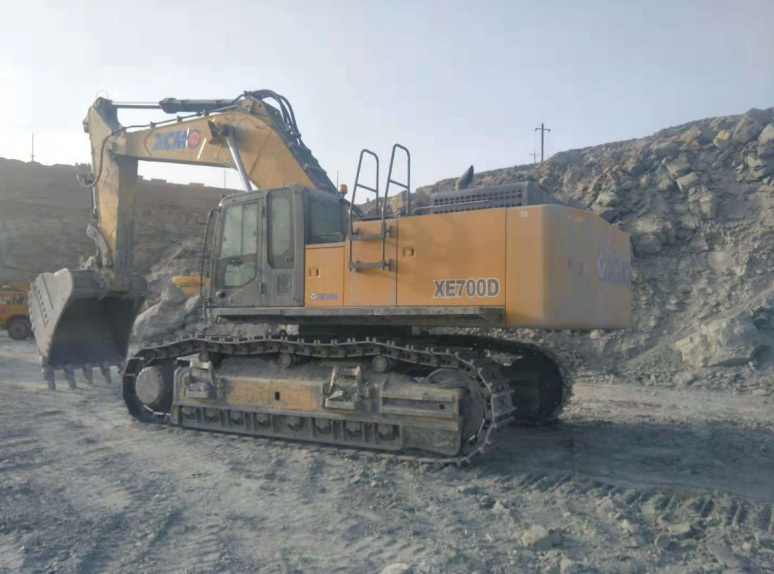 Fault phenomenon: polite reflection that the excavator is not working, after arriving at the site, found the intake manifold temperature sensor circuit 1. Higher voltage or high voltage short circuit. Troubleshooting: check the circuit is normal, the possibility of computer board is very small, remove the sensor, find its probe off, replace the sensor returned to normal. Fault phenomenon: polite reflection of the lack of strength of the excavator work, after arriving at the site, the situation is true. 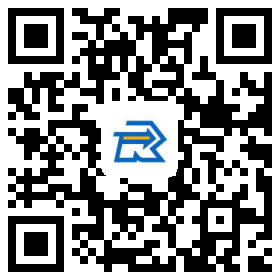 Troubleshooting: check the circuit is normal, adjust the computer board, good computer board test is normal. It is judged as the fault of the computer board program. After connecting the computer and brushing the factory program, the rotating speed was only increased by 100 turns. After the throttle was learned, the machine returned to normal. 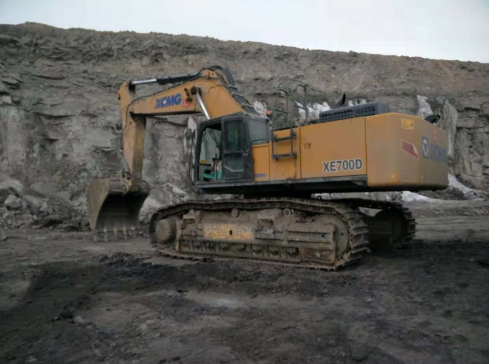 Fault phenomenon: polite report that the excavator cannot start normally, report E4020, CAN bus fault, after arriving at the site, the situation is true. In the case of power, re-plug the main computer board under the plug, the alarm disappeared, the machine can be normal. Troubleshooting: check the circuit is normal, check the computer board is safe and normal. The initial judgment is that the computer board is faulty. After replacing the computer board, the machine is back to normal. Fault phenomenon: the machine is turned on after the polite lock machine, the machine is reported to E0010, and the GPS first-level lock car is confirmed after arriving at the site. Troubleshooting: check the circuit is normal, adjust the computer board, good computer board test is normal. It was judged that the program of computer board failed. After connecting the computer to the factory, the machine returned to normal. Malfunction: polite reflection that the excavator can not start normally, move from one place to another, put out the fire for a while, then can not hit again. Upon arrival, the case is confirmed. Unscrew the emergency shutdown switch and report 559-157-18-126 missing. Remove common rail pressure sensor does not alarm, taxi or power is not reported. Fault analysis: first exclude the possibility of diesel oil road, oil to the nozzle high-pressure pipe. Decide whether it is a circuit problem or an engine failure. Troubleshooting: as the oil recovery is too large, one of the nozzles fails. After repair and installation, it still cannot be played. 1.2 cylinders have electricity, 3.4 cylinders have no electricity. 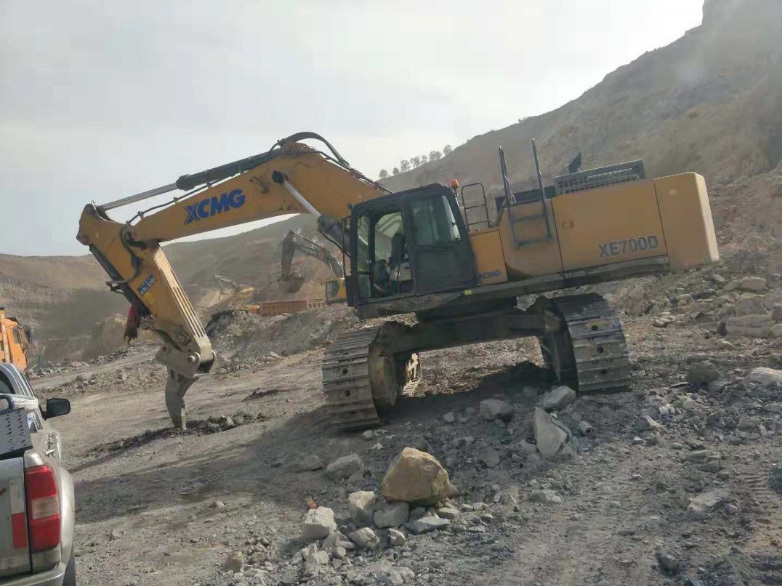 Fault phenomenon: polite reflection that the excavator can not start normally, after arriving at the site, the situation is true. Unplug the SCV valve and do not alarm. After taking a taxi, it was reported to be 10000,000-01347-04-000, and the fire was put out immediately. If you dial out the common rail pressure sensor, it will not alarm. It will only be reported for taxi. The machine can be started and the cylinder is missing. Troubleshooting: there is oil in the nozzle, the oil return pipe is too big, replace the nozzle machine to return to normal. 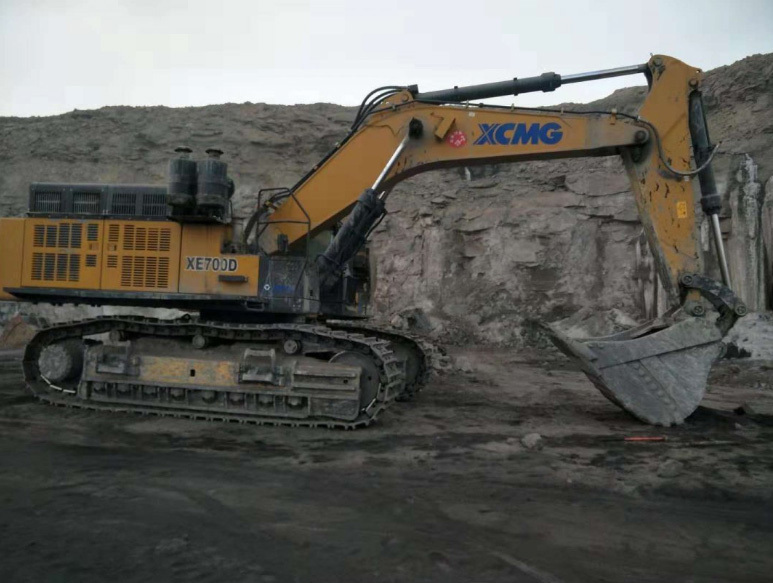 Fault phenomenon: polite reflection that the excavator can not start normally, after arriving at the site, the situation is true. Unplug the common rail pressure sensor, it will not alarm, report to 000,000-00157-03-000, the machine can start, the cylinder is missing, and it will be back to normal after two minutes. Troubleshooting: there is oil in the oil nozzle, the oil in the oil return pipeline is too large, and the oil nozzle fails, and the diesel replacement is back to normal. Fault: polite reflection of high water temperature, hydraulic oil leakage. Upon arrival, the case is confirmed. Troubleshooting: it is found that the radiator fan is not rotating, not even rotating with the hand, after replacing the fan motor the machine returned to normal. In view of the conditions of the seepage pressure oil of the fan motor cover, grinding and welding treatment will be used first, waiting for the replacement of three packs of treatment. 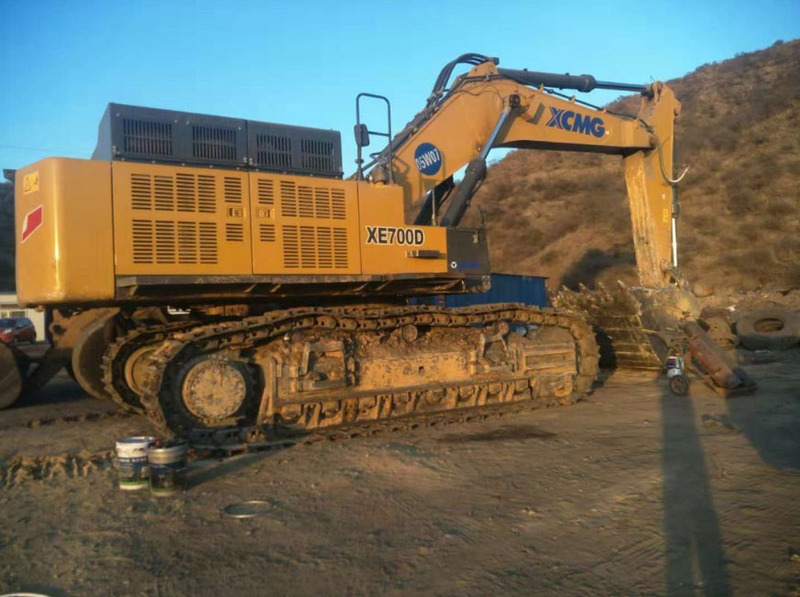 Fault phenomenon: polite reflection that the excavator can not start normally, after arriving at the site, the situation is true, the starter motor did not respond. Troubleshooting: when the engine starts after the relay is short connected, the safety locking lever does not work, and when the safety locking fuse is inserted, the whole vehicle can start without action, which is judged to be a safety locking switch. After the switch is repaired, the machine can return to normal.